Here is the first half stitch, as it would look on your hand if that was the first stitch you made. 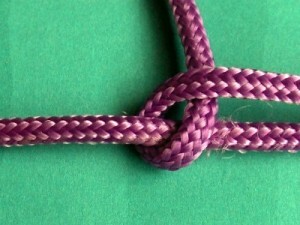 Notice how the working thread crosses around the core, or base thread, from left to right. This is what the first half stitch looks at the end of other stitches. It doesn’t look exactly the same, because the thread to make the stitch is attached to the previous stitch, but there are similarities. 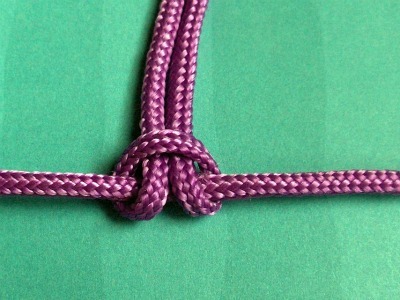 The thread crosses over the core thread and comes up in front on the left half of the stitch. Right now it is coming up vertically, but in a moment that will be pulled to the right to make the second half stitch. 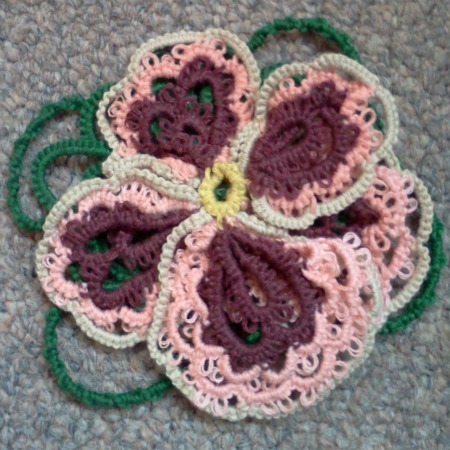 Here is the second half stitch, again as it would look on your hand if that was the first stitch you made. 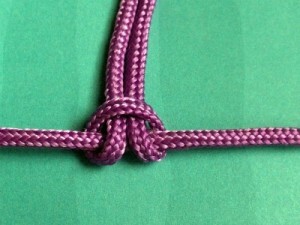 The working thread comes in front from the left and wraps around the core thread, closing the stitch on the right side. 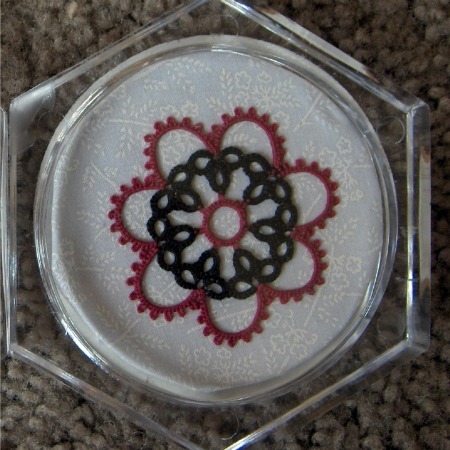 Here is the second half at the end of a chain of stitches. 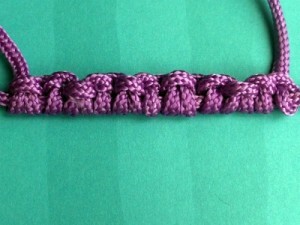 Again, notice how the thread from the previous stitch wraps around the core thread on the right side of the stitch. 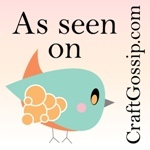 Look at the two individual pics closely to get a sense of which direction the thread is going. Then compare how they both look in a chain. Can you tell the difference? Test your stitch spotting skills. Are you ready for a challenge? 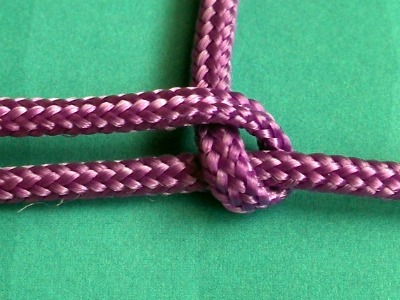 In this picture there are five whole double stitches, and several random half stitches. See if you can find them all, and identify which half is which. ONLY SCROLL DOWN WHEN YOU ARE READY FOR THE ANSWER KEY. How was that? Easy? Difficult? Did you find and identify all the stitches? Need a hint? There are six randomly placed half stitches. Need another hint? 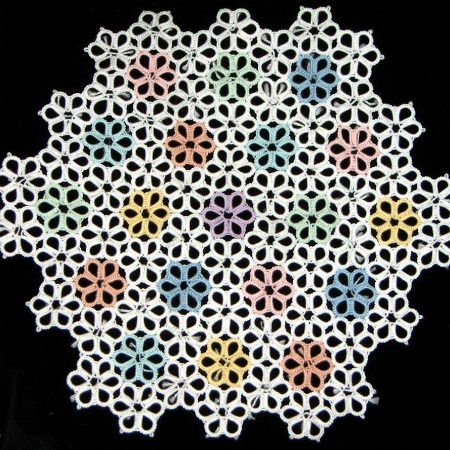 There are three of each half stitch. Are you ready for the answer key? Scroll down a bit more. thanks – that’s very useful! 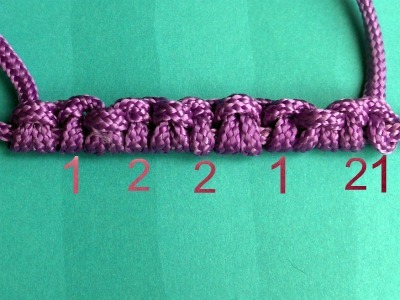 Are there 3 totally separate doubles then the picot then you start over again with 2 doubles? 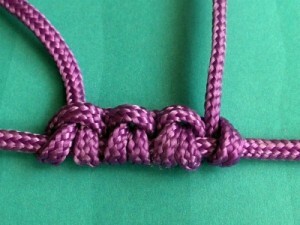 Can you show it with the larger rope type thread above with the proper counting with picots? I LOVE your site!!!! It’s awesome. I’m a visual learner and this is very helpful. Thank you. Hi Lyla, welcome to tatting. 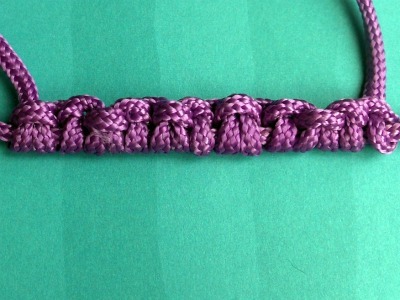 To answer your question, the picot is not counted as part of the stitch. So in the first picture above that is one double stitch, and if you make a picot that is merely space between two stitches. If you make another full stitch then you have 1-1. Let me know if this does not make sense. i love your site! you have such easy to understand tutorials! 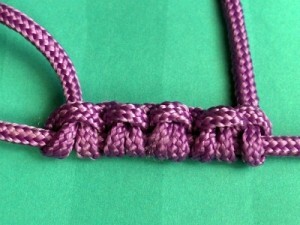 I do have a question for you: what techniques do you use to make your picots even? I’m a beginner and my picots look uneven despite lots of effort. ARG! Can’t do perfect picots without it.